Chilling, recalibrating, heart pounding! 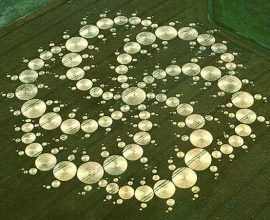 That’s what I feel inside Crop Circles. The tiny hairs stand up on my arms and I get goosebumps from head to toe. Many people have the same reaction and it’s not our imagination! So what's happening to people inside Crop Circles? What is this frequency shift? There's definitely a tactile enhanced electromagnetic energy field that effects humans - while directing acres of crop to bend over into distinct patterns and formations. The effect can last for months at a time or until the farmer mows the field out. The bent plants continue to grow and remain healthy. Crop Circles are one of the most contentious and suppressed UFO subjects of all time. Seems foolish because Crop Circles offer acres of astounding physical evidence showing unique biophysical anomalies that can't be duplicated in a lab. There are highly beneficial bio-physical changes happening to the seeds and plants hit by Crop Circle frequencies. 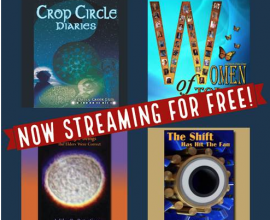 This lecture gets to the core of Crop Circle science, the “Version” shoved under the rug for decades... A great scientist William Levengood and his (secret) lab partner Penny Kelly made huge strides uncovering answers to the Crop Circle mystery for 16 years. They discovered an important advancement for humanity and agriculture by experimenting with Crop Circle seeds and the spinning Plasma frequencies that effected the plants. They discovered that seeds hit by Crop Circle frequencies produced between 30 - 400% more food & biofuel per plant, with up to 75% more nutritional value per seed! The seeds grew when conditions were too hot, too cold, too wet, or too dry - They became Super-Seeds! Additionally they found iron ore molded around leaves within some Crop Circle samples. How was molten iron ore floating through the air in the middle of the night over a wheat field at more than 1200°? Don't miss the answers and sizzling evidence from the lab - Join us! This talk and my film “Crop Circle Diaries” expose the real story and science of how Crop Circles can help us today. The origin of Crop Circles is not what we were told... Crop Circles are coming out of the earth in spinning counter-rotating plasma vortices, they are not coming down from the sky! 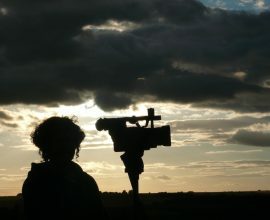 We will delve deeply into the science of how Crop Circles really happen with actual footage of Crop Circles being produced in seconds by balls of light in both England & France. The ‘balls of light’ are actually spinning plasma at the base of a vortex of spinning plasma frequencies. Wrap your head around that! After “Crop Circle Diaries” exposed this timely data I became the most hacked UFO filmmaker in history in 2016. Must be a pretty important movie* Crop Circle technologies have the ability to improve the world's food and biofuel supply immediately. By understanding the plasma effect on Crop Circle seeds the game changes and we can bring our organic food supply back quickly. It's already done, the science has been re-engineered so let's move forward now. If you are curious about the science of Crop Circles watch “Crop Circle Diaries” soon and join us for this informative presentation! “Crop Circle Diaries” just received 2 EBE Awards at the International UFO Congress Convention Film Festival for : Best Feature Film 2017 and The 2017 People's Choice Award.